refuse a challenge, I jumped at the chance, and this is what I came up with…. Atlantic Shopping is a family run business based in Birmingham, and they offer a huge variety of different styles of tables, chairs and beds – from bright, classic white to funky retro patchwork and prints, there’s something to suit everyone. 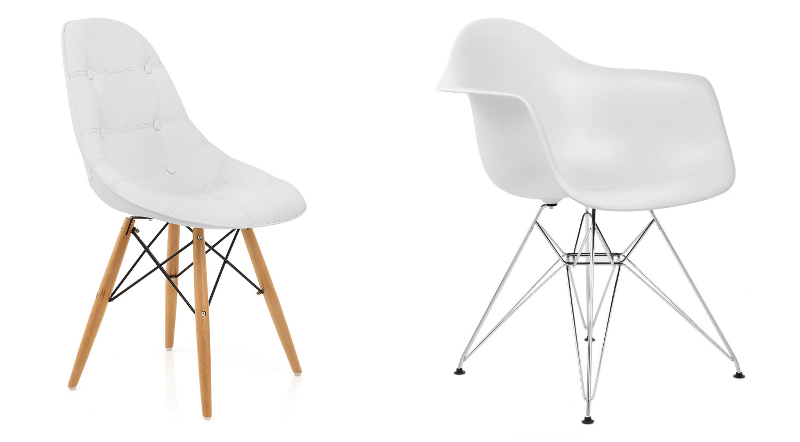 I was most excited by their Eames style range; metal armchairs, wheeled office chairs and barstools mean you can easily add a little retro touch to almost any room in the house. I’d decided pretty early on that my ‘Best of British’ room was going to be an office or studio room – at the moment I’m trying to clear out and re-organise my craft room, so I’m pretty obsessed with work-spaces. I chose the Eames metal armchair in white, the cushioned Eames style chair also in white, and the Camden dining table to act as a desk – I love the large surface and spacious underneath section which would allow for plenty of storage. 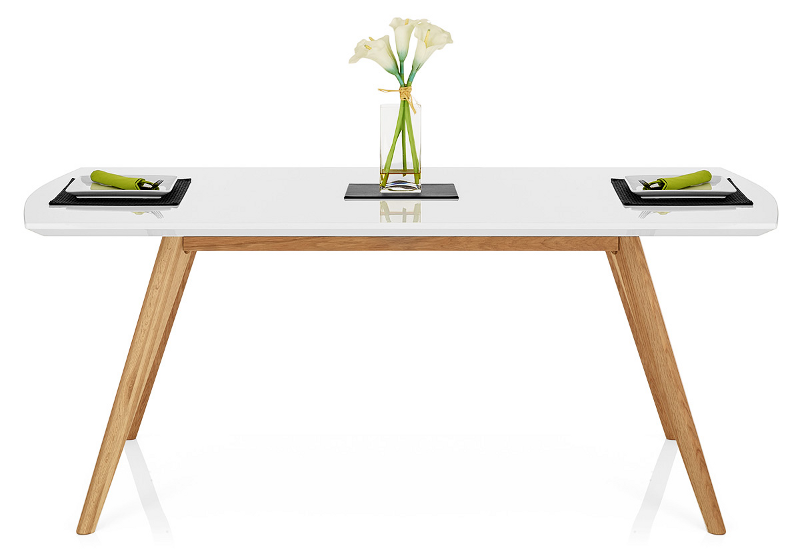 Admittedly, it’s a dining table, but I like to think outside the box! The first thing I decided when styling the room was that the last thing I wanted was it to be a garish Union-Jack fest – there’s nowt wrong with the British flag, but it’s just not my cup of tea to have it splashed all over my furnishings. I thought about my idea of British style, and I decided I wanted to go for a vintage rustic feel; lots of wire, wood and plants, with a few classic retro items thrown in for good measure. The mug, telephone and British Isles print are all a nod to the chosen theme; it doesn’t get more British than a Morris Minor and a map of the UK! Inspired by Atlantic Shopping’s ‘Best of British’ Campaign, I joined in with the challenge to design a British inspired room. I love all of these – I'm really into British homewares and love the phone and that British Isles print. love these – especially that table at the top! 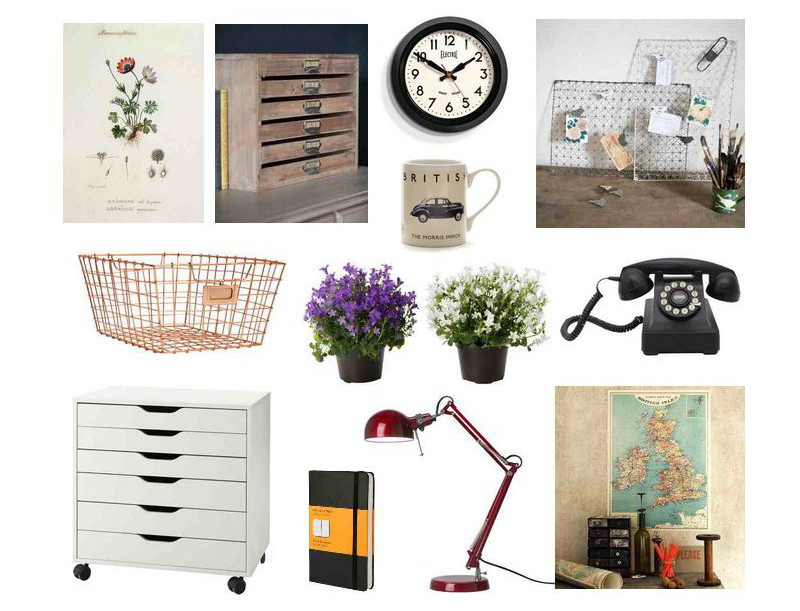 love the eames chairs (obviously haha) and the filing tray! Would never buy from this company. They treat the staff very bad, best of british? HA only 10% of there work force are english, avoid at all cost. I'm not entirely sure how employee nationality is relevant to a campaign celebrating a particular style of design, and you should probably think more carefully before posting libellous comments.